1. The blood. In the first movie, the slo-mo blood spatters were very stylised but still kinda realistic, insofar as it went. In this one, they seemed to have made it far more 'globular' and shiny and its, if you'll pardon the expression, bloody annoying. 2. The speeches. Pretty stilted here. Nobody can pull it off like Leonidas and no-one should have tried. Its like trying to replicate the Braveheart speech... lightning in a bottle; only one per customer! Surprisingly enough; Themistocles and the whole political (what there was of it) side of things. I was highly entertained by the depiction of the way the Spartans are view by Athens and the rest; almost with an exasperated eye-roll at their martial enthusiasm. The expansion on Xerxes, who was basically a golden cypher in the first one, was both interesting and uninformative at the same time. I assume there's some historical legends being depicted here but I never really mainlined Greek history beyond the basics so I probably missed a bunch of subtext. Just how many caves full of mutated, wretched souls are there around the world though? It did started to become of parade of cameos to some extent but these stories were majorly intertwined so I suppose its to be expected. Other than that, a damned solid wathc, I thought. Basically, I came in expecting to just pay attention to the 'good bits' but instead, found myself wrapped up in it from start to finish. 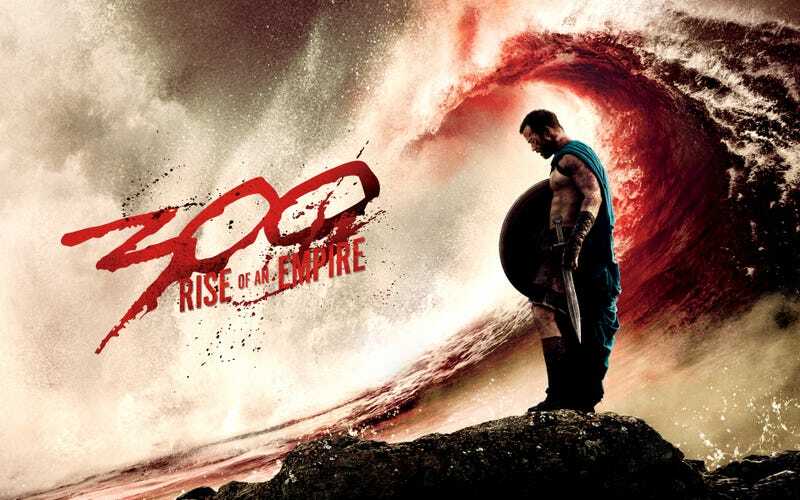 A great companion piece to 300, and i'm definitely going out to buy the bluray!